Ah, LinkedIn. When you’re new to the networking game, LinkedIn might look like the starched white shirt of social media platforms —a whole lot of “blah,” zero fun, resume website. The reality: LinkedIn can be the casual Friday happy hour piece of your career strategy; the place where you connect with people who can help you grow. By thinking of LinkedIn as more than a resume website, you’ll be able to take full advantage of its features. 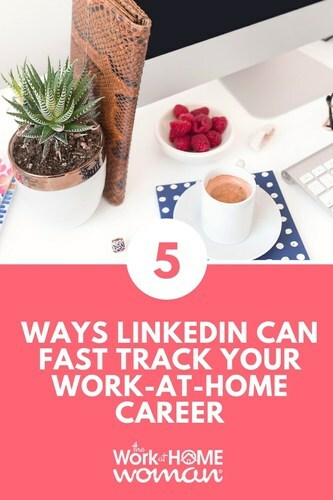 Here are five tips and 15 resources to reboot your approach to LinkedIn and fast track your growth as an at-home professional. 1. Build Your Brand Without a Website. Maybe you’re early in your at-home career, or not ready to take the leap into developing a website around what you do. In either case, a well-rounded LinkedIn profile is a great placeholder while you figure things out. Your LinkedIn profile is an about page, blogging platform, and contact page all in one — the core elements of any website! 2. Step Out of Your Bubble. It’s insanely easy to feel isolated when you’re freelancing, telecommuting, or working from home. LinkedIn groups can help fill that void. They’re incredible places to swap ideas and advice with professionals in your field, but here’s some insider advice: if you’re looking to make a job change, you should also join the groups relevant to where you want to be. 3. Research the Best Career Moves. Peeking over the fence is critical when you’re considering a role with a new company. LinkedIn allows you to see how you’re connected to an organization, sign up for alerts about openings with a company, and learn about the people who currently work there. Even better: if you’re wondering if a company is legit, you can always turn to your WAHM groups and ask other professionals to weigh in. 4. Connect with Decision Makers Directly. The key here is to connect with class. Shooting strangers a “Hey, I heard you’re hiring!” message is a huge no-no. Instead, build an authentic rapport with the folks you’d like as connections. Follow their content on LinkedIn publisher and share it. “Like” and comment on their responses in groups. Build their awareness of you before reaching out to connect, and when you do, frame it terms of what they can gain by adding you to their network. Side note: LinkedIn can be a great place to follow up after an interview if you lack someone’s direct email. Send them a thank you! 5. Establish Yourself as a True Professional. Combat the “it’s not a real job” nonsense frequently associated with at-home work. So what if you’re not in a typical 9-5 role? Position yourself as a professional from day one. Demonstrate your subject matter expertise with LinkedIn’s publishing platform or by simply adding portfolio items to your profile. Give and receive recommendations. Ensure your LinkedIn profile is a living, breathing presence that represents you as a professional and NOT a static outpost of your resume. Because no one wants to network with a resume! Erica Breuer believes resume writing should be fun and painless. As founder of CakeResumes.com, she specializes in career branding for freelancers and solopreneurs. 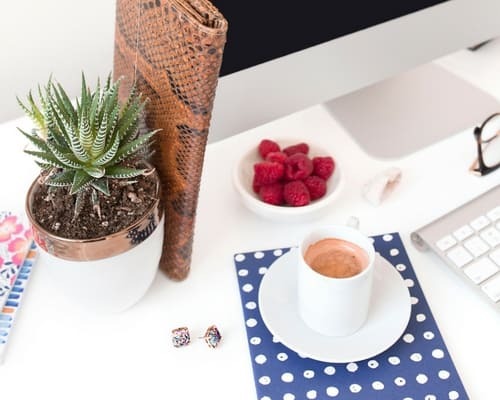 In addition to writing for The Work at Home Woman, she shares her insights via free resume e-clinics and on LinkedIn Pulse. Swap tweets with her on twitter @EricaBreuerful.